April is here! With the many showers that are (hopefully) on their way, I look forward to the blooming flowers of May. Up here in Canada it's still fairly snowy, but the temperature seems to be getting warmer as the days go by. The puddles get bigger and more splash-able, and the mud becomes ripe for some good old mud pies (courtesy of my 2 year old, of course!). 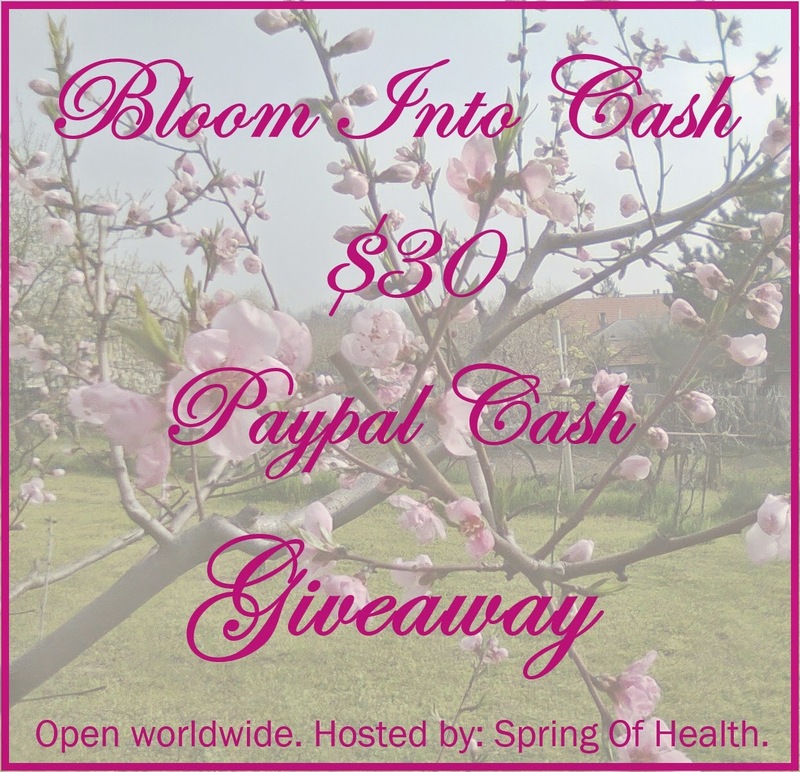 On this occasion, Living As We and Spring Of Health, together with a handful of amazing bloggers brings you this awesome giveaway, where one lucky reader can win $30 PayPal Cash. To get your entries in, please use the Giveaway Tools widget below and collect points by fulfilling the tasks. You MUST complete the mandatory task(s) to be eligible to win. Disclosure: Living As We is not responsible for the prize. Spring Of Health is responsible for the prize. This giveaway is in no way associated with Facebook, Twitter, Pinterest, Giveaway Tools, or any other entity. Obviously the beautiful flowers that bloom every year in my garden. It's a beautiful view to see all different colors all out at once, after a hard year of work. My favourite thing about spring is how beautiful everything looks, and spring clothes are my favourite! :) Thanks for the giveaway! I like getting outdoors again and seeing the hummingbirds coming back from the south. My favorite thing about Spring is seeing all the new flowers come up. We've finally gotten a few days of spring. I love the warmer weather, buds and first flowers. My favorite thing about spring is finally being able to ride my bike to work daily. My favorite thing is getting rid of my heavy coat and boots. hi, favorite thing(s) about spring are the smells, the colors, and the weather. Longer days and tulips blooming. Short sleeves and flip flops! My favorite thing about spring is not having to drive in the snow! My favorite thing about spring is being able to take my son outside to play and ride bikes now that the snow is gone! not freezing.... and I love flowers and gardens growing and my blueberries getting close to ripe. I love the thunderstorms!! Hate the allergies though. haha. The weather is the best thing about spring. It means that winter is over. My favorite thing about Spring is not having to wear such heavy clothing anymore!